D-8 (ENGLISH, $15.00 per 100) Front, Picture in Full Color. 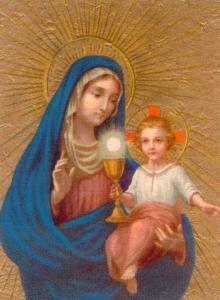 Back, Prayer to Our Lady of the Most Blessed Sacrament. Actual Size 3 x 5.